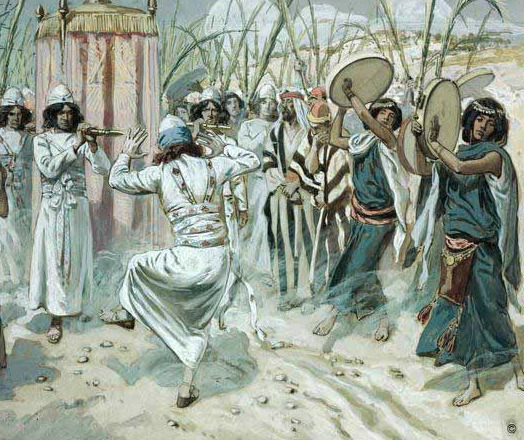 Beginning a Biblical drum group in your church is exciting! Without a doubt, it is your faithful response to the stirrings of the Spirit within you. Yet, a congregation is a congregation! That blessed and unique entity within our society, called by God into being, and 'entirely' dependent on those who attend and get involved. So each Biblical drum group needs to be aware of the warts and the beauty of their congregation: those who feel threatened by the drum and those who are welcome the drum. We begin with respect for our drum, our genuine love for the congregation, and, most of all, our thirst for the Holy. Lovingly and caring we strive faithfully to introduce and integrate the ancient frame drum 'back' into the worship experiences of all. As a drummer you are worshiping God and striving to enable others to feel close to the Holy. Begin with a brief accompaniment, such as for one hymn for a service or two. Use the children's time, congregation website or newsletter to share the history of this drum so that appreciation can grow within the congregation. Be patient with the people who gather to worship God with you. Prepare well, play your best and let the rest be in God's hands! Gradually try using the drum more regularly, say once a month. Keep practising! Keep practising! Keep practising! As your personal skills increase so will the congregation's appreciation of your drumming and Biblical drumming generally grow. Invite feedback and be open to the comments. We work always with the Holy Spirit. Let her guide you when any comment comes to you -positive or negative. Share the comments with the whole drum group. Once you have accomplished the basic strokes and patterns, invest in a tar and add it to your congregation's worship experience, remembering always that the frame drum with jingles creates energy and a sense of praise and thanksgiving while the tar moves worshipers inward to places we often don't reach. This is very delicate work and merits careful planning among the drummers. Drum for special services, like Christmas and Good Friday. But also drum for regular worship. Our drum is an integral part of all worship, not just an extra for the 'high' festivals of the church. Reach out to other drum groups. Share what you have done, what worked, what didn't and learn from their experiences. This website is a good beginning for such sharing! Check the first 17 pages of Jan Laurie's booklet "Rhythm Spirit An Introduction to Using Hand Drums & Small Percussion in Worship" (www.musiklus.com). Her wisdom and experience shares much in common with introducing frame drumming to a congregation. The remainder of the 75 pages focusses primarily on the Djembe.